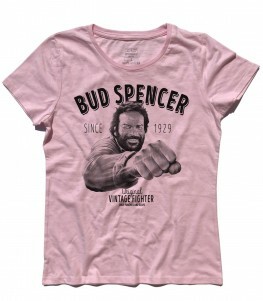 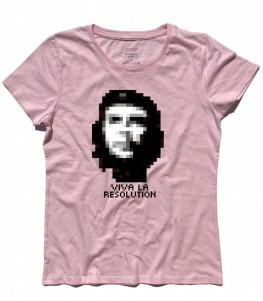 Bazinga t-shirt – T-shirt donna con la scritta Bazinga, modo di dire della serie The Big Bang Theory. Sheldon Cooper la pronunciò per la prima volta nel 23esimo episodio per accompagnare uno dei suoi rari scherzi e da allora è diventato un tormentone. 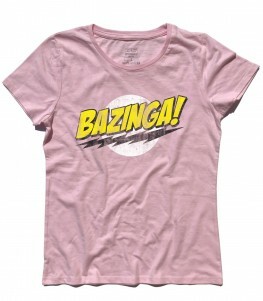 Bazinga t-shirt – Women’s t-shirt with the writing Bazinga, a saying of the series The Big Bang Theory. 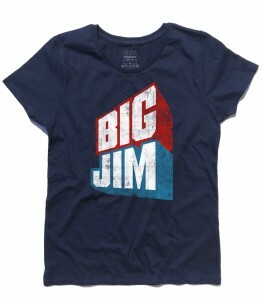 Sheldon Cooper pronounced it for the first time in the 23rd episode to accompany one of his rare jokes and has since become a catchphrase. 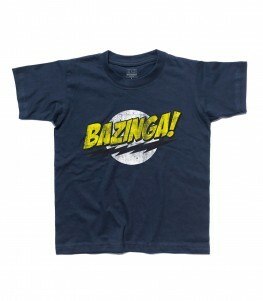 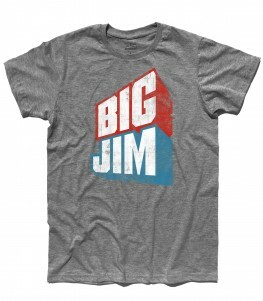 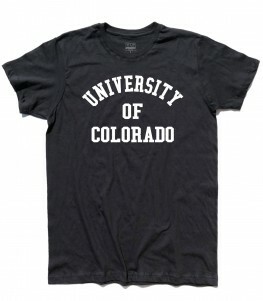 Bazinga t-shirt – T-shirt uomo con la scritta Bazinga, modo di dire della serie The Big Bang Theory. 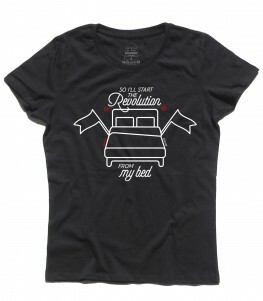 Sheldon Cooper la pronunciò per la prima volta nel 23esimo episodio per accompagnare uno dei suoi rari scherzi e da allora è diventato un tormentone. Bazinga t-shirt – Men’s t-shirt with the writing Bazinga, a saying of the series The Big Bang Theory. Sheldon Cooper pronounced it for the first time in the 23rd episode to accompany one of his rare jokes and has since become a catchphrase. 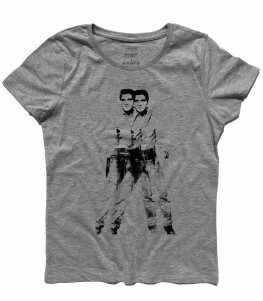 Double Elvis t-shirt bianca – T-shirt ispirata al capolavoro dell’arte pop “Double Elvis” in cui compare the King nelle vesti insolite di un cowboy nell’atto di sparare. 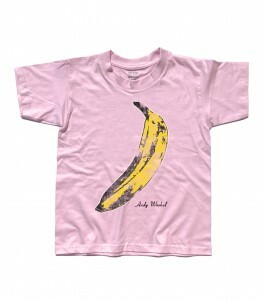 Ritroviamo nell’opera uno delle caratteristiche più famose di Warhol, ossia la ripetizione del soggetto rappresentato. 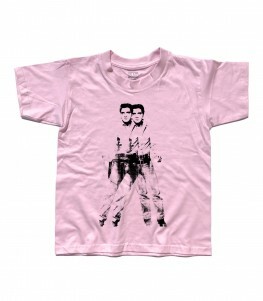 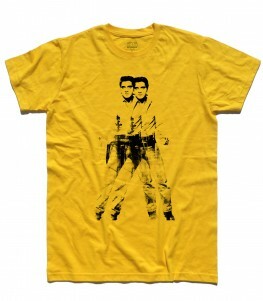 Double Elvis men’s t-shirt – T-shirt inspired by the pop art masterpiece “Double Elvis” in which the King appears in the unusual outfits of a cowboy in the act of shooting. 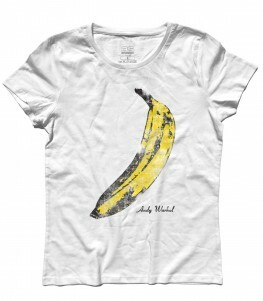 We find in the work one of the most famous features of Warhol, that is the repetition of the represented subject. 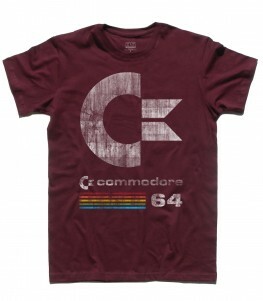 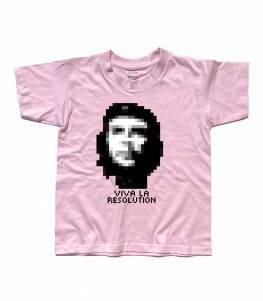 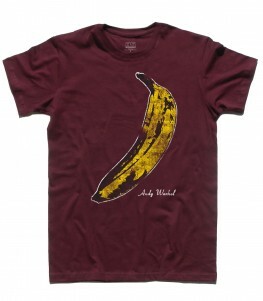 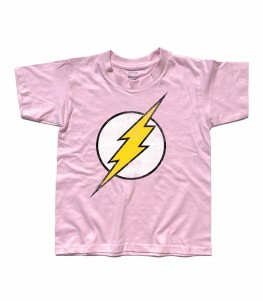 Flash t-shirt – T-shirt bambino raffigurante il logo antichizzato di Flash, supereroe con il potere di muoversi a una velocità che supera sette volte quella della luce, violando le leggi della fisica. 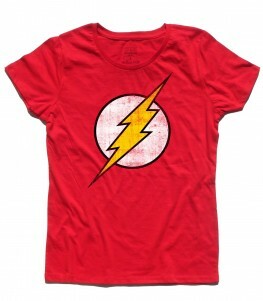 Flash t-shirt – Kid’s t-shirt depicting the ancient logo of Flash, superhero with the power to move at a speed that exceeds seven times that of light, violating the laws of physics.